In case you have been thinking about a Miami getaway for this spring or summer and want to stay in a fine hotel, here are some great options for you. The first one is the 4 star Biltmore Hotel Miami Coral Gables which is on sale now, you can book a Junior Suite from $199 per night only and save as much as 55% on high season rates at this AAA 4-Diamond resort. But we also have a slightly cheaper option here, the Mayfair Hotel and Spa, another 4 stay hotel, which only costs $139 per night and comes with free breakfast and also free room upgrade, given you are quick enough with the booking. Choose the Miami hotel you like best and then book it before the best rooms are sold out! 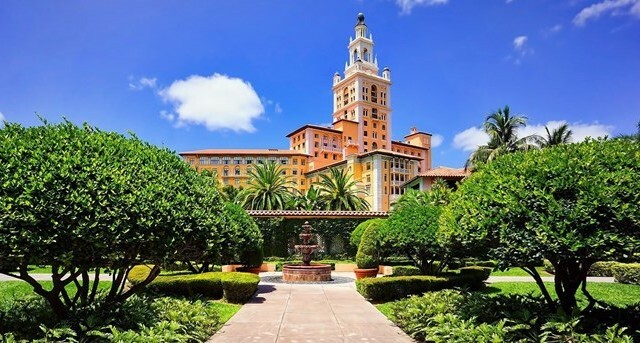 Biltmore Hotel Miami Coral Gables is an AAA 4-Diamond resort on the white shores of Miami. The resort features tons of luxurious amenities and services, including a Donald Ross 18 hole championship golf course, a modern fitness center, full service spa with luxurious treatments, huge pool, gift shops, afternoon high tea in the lobby and a lot more. Rooms are also luxurious at Biltmore Hotel Miami, old world glamour meets with modern amenities and great service here. Note that you might also want to find a cheap flight to Miami, if you plan to spend your vacation there. You might also want to see some other Miami hotel deals before you make definite decisions. So why don’t you do some research right now and compare the prices of all the travel deals you want, from the sites of all the providers you want.